One of the best ways to personalize your lab coat is with custom embroidery – either name & title embroidery, logo embroidery, or both! 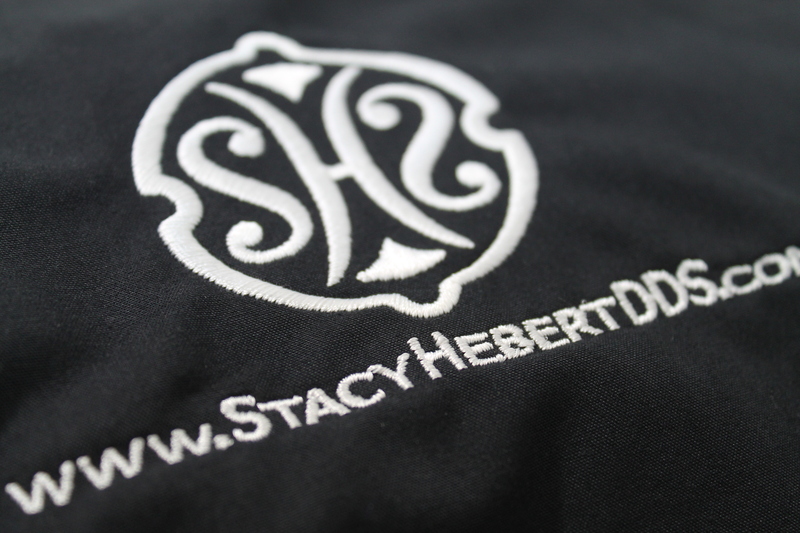 Logos are works of art that represent your business to the rest of the world, so if you decide to have your logo embroidered onto your coat, it is important that you find an embroiderer who will preserve the integrity of your logo artwork. How Does Logo Digitization Work? 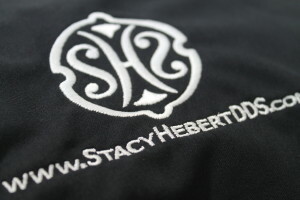 The process of having a logo embroidered is more complicated than you might realize. First, you must send a PDF of the logo artwork so that our embroidery artists can digitize it. Logo digitization refers to the process of analyzing the digital artwork and manually converting it into a file that can be read by the embroidery machines. This involves translating the color files, keeping the structure of the artwork design, and making sure that the embroidery pattern will look nearly identical to how the logo appears on a digital computer screen. You only pay the digitization fee once; after that it only costs $12 to have it embroidered onto a lab coat or scrubs shirt. Once a logo has been digitized, you can have it applied to any and all future purchases of medical apparel. Logo digitization makes it easy for your staff to have polished, professional uniforms that include an artwork representation of your business. Having a logo digitized by expert embroidery artists with years of experience means that the logo will be a true work of art captured in thread. A digitized logo on a lab coat is the ultimate way to visually communicate a high level of professionalism to your patients and colleagues. This entry was posted in Lab Coats and tagged lab coats, Logo Embroidery, Personal Embroidery on February 29, 2016 by Ariel Jacoby.